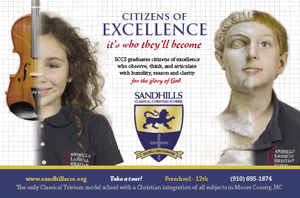 SandhillsKids, LLC. will not share, sell, rent or otherwise disclose the personal information (name, postal address, e-mail address) of the customers without their advance permission, unless otherwise ordered by a court of law. All personal information collected is used solely to contact the customers in regard to their use of this service. Our site uses order forms and feedback forms or surveys for visitors to express their interests or request information, products and services. Personal identity information from order forms is used to send orders, information about our company and promotions to our visitors. We will not give or sell personal identity information to any other outside company for its use in marketing or solicitation. We will maintain the confidentiality of your personal identity information. 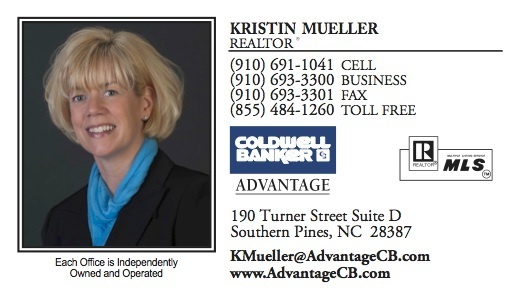 It will be used only to support your customer relationship with SandhillsKids, its subsidiaries and business partners. Some Web sites collect & store personal information about children, and sometimes this information is provided to advertisers or other 3rd parties. Sandhillskids.com does not collect or store information about children who use our Web site. No information about our subscribers, children or adults, is ever provided to advertisers or other people outside our company. Pages within our site contain links to third-party sites. Please review the individual privacy policies of these sites. Consistent with the Children’s Online Privacy Protection Act of 1998, ConnectNC will not knowingly request personally-identifiable information from anyone under the age of 13 without prior, verifiable parental consent. If we become aware that an individual who has provided personally-identifiable information on any of our Web sites is under the age of 13, the personally-identifiable information will immediately be removed from our files. SandhillsKids.Com is firmly committed to “safe surfing” and online privacy for kids. We make the best efforts possible to prevent the identity or location of children from being disclosed to third parties. Please keep in mind, however, that there is no substitute for parental supervision. We DO retain general information about how users of our Web site reach us. This information is on our server logs. The logs show the users IP address, date, time of access, pages viewed and referring site. This data is used primarily to analyze statistics; the statistics are provided to our clients whose web pages we host. None of this information identifies children, or is linked to any personal information which would permit someone to locate or contact a child. None of this information is ever provided to anyone outside of SandhillsKids.com personnel. Cookies are bits of data on a computer hard drive placed there when someone visits a Web site. They are most often used to enable people to return to a Web site without having to re-enter a user name or password each time. 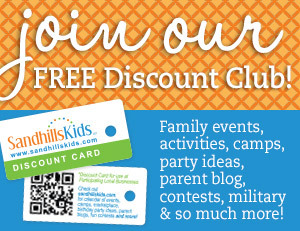 At SandhillsKids.com, cookies are used by subscribers who wish to access our LOGIN AREA. Children are not identified or distinguishable from other LOGIN AREA users. If you want to disable your computer’s ability to accept cookies, you must change your Web browser preferences, or call our Tech Support line for assistance. A Web site can only read the cookies it has placed on the hard drive – it cannot read cookies placed there by other Web sites. You should also know that we may be legally required to provide information about you to investigators involved in law enforcement, or, if necessary, confidentially to our own attorneys.